Home » Blog » Blog » Give Your Smile the Makeover of a Lifetime in a Single Appointment! With the holidays coming up soon, the thought of smiling for family photos can make you feel uncomfortable. 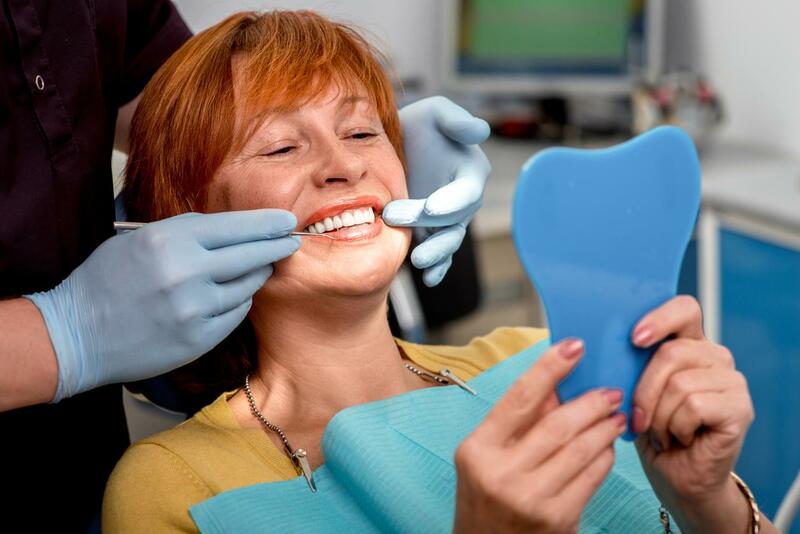 If you haven’t been happy with your smile for years and nothing seems to be working, a Full Mouth Reconstruction may be just what you need to feel confident in your smile again. Dr. Andres de Cardenas has over 15 years of dental experience and graduated in the top 10% of his class at the University of Florida College of Dentistry, so you can feel confident that your dental health is in the most capable and caring hands. If several of your teeth are missing, chipped, decayed, or infected, a single treatment might not be enough to repair them fully. A Full Mouth Reconstruction applies to all of the teeth in your upper and lower jaw to restore the natural look, function, and feel of a healthy smile. This process is done by creating dental crowns which are custom-made to fit over your existing teeth. Dr. de Cardenas will bond them to your teeth to restore functionality to your jaws, muscles, and bones. Your new smile will look completely natural, and no one will be able to tell you even had a treatment done! After a Full Mouth Reconstruction, you’ll experience the benefits of having a completely healthy, beautiful, and natural set of teeth again. Chewing will no longer be a pain, and you won’t feel uncomfortable when you have to smile in public or pose for pictures this holiday season. If you’re unsure if a full reconstruction is right for you, Dr. de Cardenas will be happy to meet with you for a consultation. If you’ve had bad experiences at the dentist in the past, one visit to our office will make you want to come back for your next appointment right away! We believe that the most important person is the one right in front of us, and we’ll make sure you feel that way every time you visit. Whether you’re coming in for a routine dental cleaning or Full Mouth Reconstruction, you’ll feel like a part of the family, not just another patient. 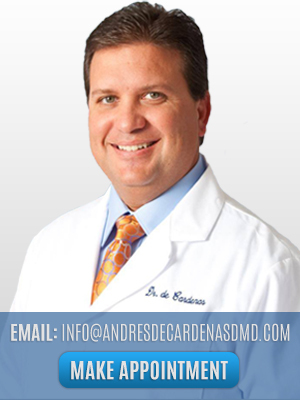 At the office of Dr. Andres de Cardenas, a Full Mouth Reconstruction will have you ready for this holiday season. If you’ve been wanting to restore the look and feel of your smile but never knew where to start, our team can walk you through your options and help you choose the treatment that is best for you! Learn more about the benefits of having a Full Mouth Reconstruction by calling us today at 305-251-3334 or click here to schedule an appointment online!